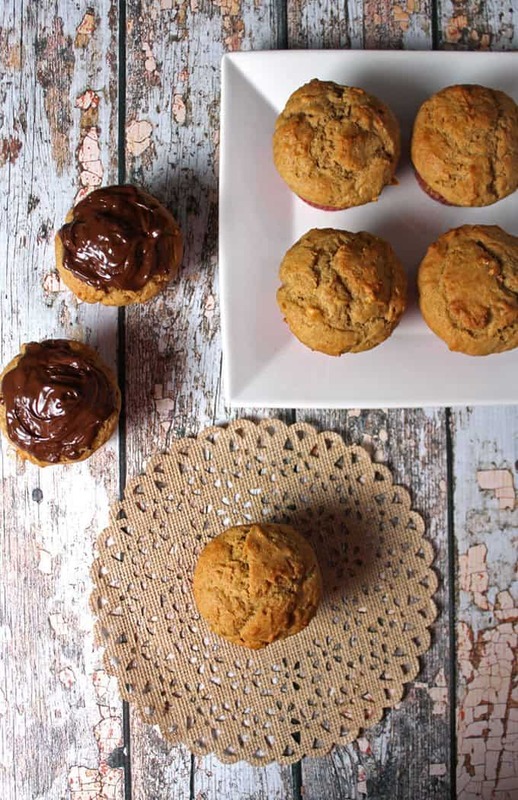 These Bite Size Peanut Butter Muffins are a rock star in my mom arsenal! My kids love them and have no idea they are actually healthy. 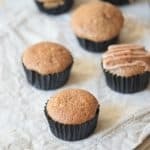 Bite Size Peanut Butter Muffins that are Healthy! I am forever on a mission to teach my kids that healthy foods are an important part of their life. My goal is to have them make independent choices that fuel their bodies and their brains. Sometimes they do exactly that! Sometimes – let’s be real – they would rather eat junk food. Sometimes I would rather eat junk food too. Our theory is that if they choose it on purpose part of the time. And we feed them healthy stuff without them actually knowing about it part of the time, the law of averages must work in our favor. These Bite Size Peanut Butter Muffins are part of that plan. 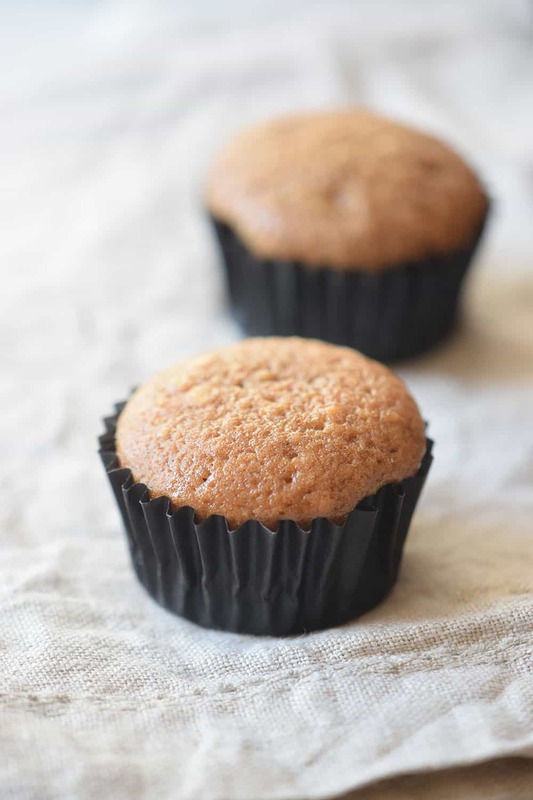 Bite Size Peanut Butter Muffins are made with ingredients like almond flour and coconut oil – and sweetened with applesauce for a really healthy treat. These muffins are great for breakfast, after school snacks, and are perfect for the lunchbox. It is crazy how early my kids eat lunch at school. So not having an after school snack is out of the question. I feel pretty good about feeding them food that is good for them – rather than letting them fill up on empty calories between school and dinner. We like to make these Peanut Butter Muffins with chopped peanuts added. It gives them a great texture and flavor! These little lovelies are also weirdly filling. I think it is the almond flour. But a muffin (okay, or two!) really hold my crew over until dinner time. Looking for a healthy snack idea? 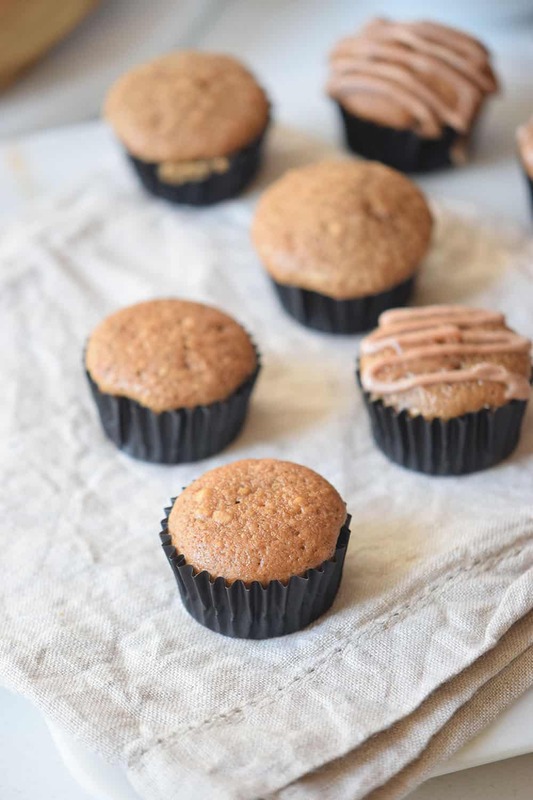 These Mini Peanut Butter Muffins are the packed with healthy ingredients and sure to be a hit with the kids. Preheat oven to 400F. Lightly heat the milk and pour into a bowl. Stir in the flour, peanut butter, coconut oil, baking powder, applesauce, and eggs. Mix for 5 minutes or until no lumps remain. Place muffin cups into a muffin pan. Fill each cup with the batter. Place in the oven and bake for 20 minutes or until done. Remove from the oven. Set aside to cool before serving. Tip: For a crunchy kick, incorporate chopped peanuts into the batter. Need More Healthy Muffin Choices? 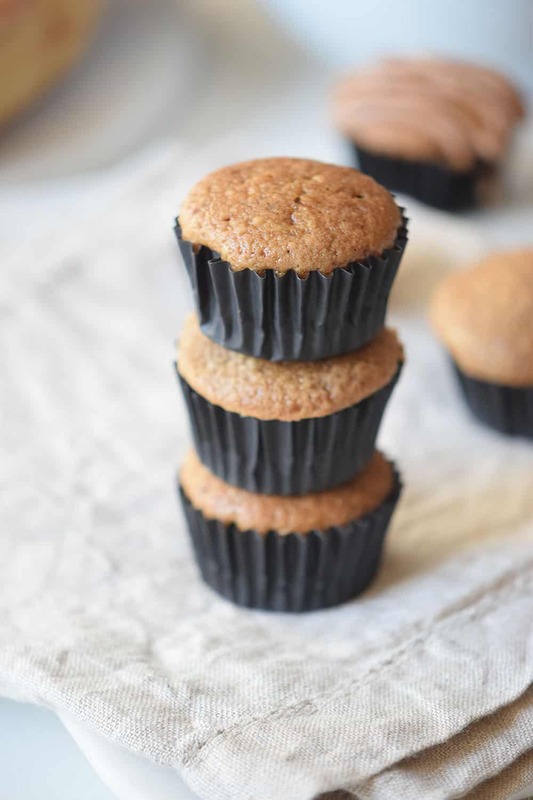 If you are not a fan of almond flour but are still looking for a healthy muffin, check out these Peanut Butter Banana Muffins made with whole white wheat flour. 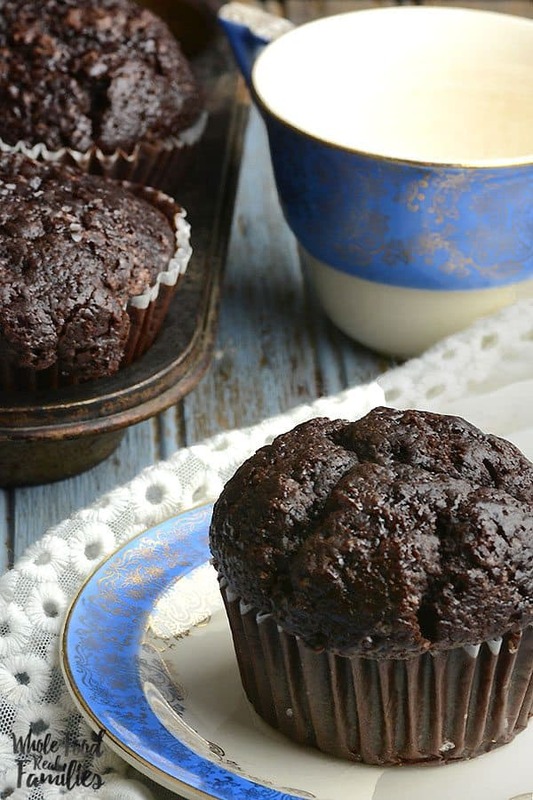 Or check out one of the Most Popular recipes on Whole Food | Real Families, these Healthy Chocolate Muffins are richly chocolate and the crumb is very tender. But still healthy enough for breakfast! Cynthia Rusincovitch is an avid whole food advocate and the recipe developer and photographer behind Whole Food | Real Families. Cynthia spent 15 years as a marketing executive in Atlanta before moving to Savannah, Georgia. She is married to an aerospace engineer who likes to man the grill and has 3 children, a teenager and two toddlers. Follow her on Pinterest, Facebook, Instagram and Twitter. Hello. !! My family really love and enjoy your recipes.. on the mini bite peanut butter on the instructions says eggs but the ingredients does not list any eggs? Can you please sent me the recipe.